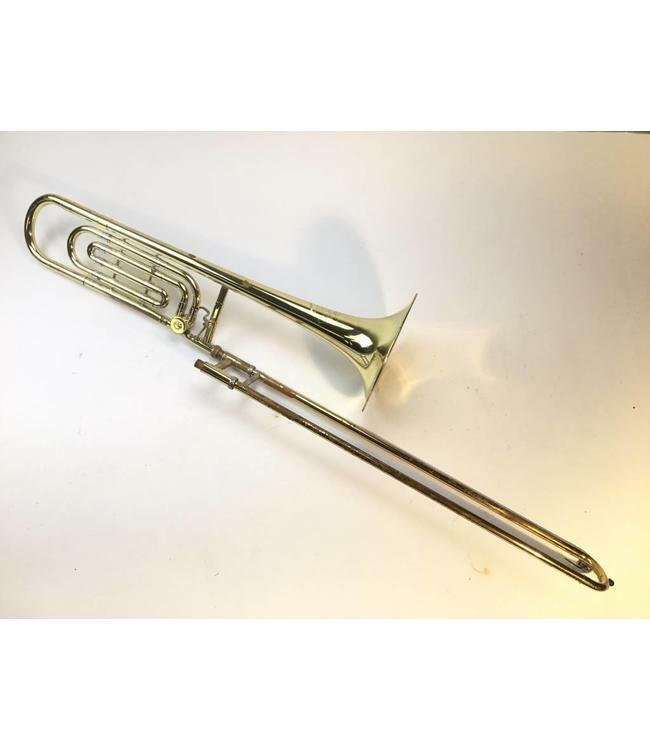 Used Olds Ambassador Bb/F Tenor Trombone in lacquer. .495-.510" bore dual bore slide. closed wrap f-attachment, 8.5" bell flare. Instrument is in good condition apart from minor lacquer wear throughout and at contact points. Very minor plating loss on inner stockings and signs of red rot on outer slide. Comes with case.